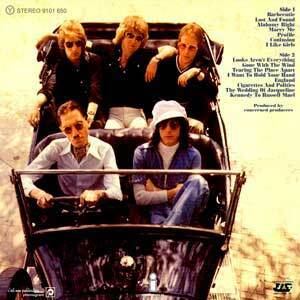 This late 1970s compilation album was the only vinyl album ever authorized by Island Records that contained singles b-sides and unreleased tracks by Sparks. Sparks "Relativity" album was manufactured in France, on the Phonogram label, making this an extremely rare UK export album. In addition on the label are the french words "Pour Radio-Diffusion Seulement" (For Broadcast Only), which seems to denote that this is a promotional copy, and perhaps even a promotional-only release ! Rumour is, that about one dozen copies of "Relativity" were pressed onto vinyl and the album was sent out to french and belgium Radio Stations. "Relativity" is obviously a very scarce collector's item and it is true that many have thought this "Relativity" album was a hoax, but nowadays three copies have been confirmed : One of is the property of the Graphik Designs webmaster, and a famous belgium Sparks specialist gets a second one. A third copy of this album turned up all of a sudden in England at the beginning of January 2006. Here is the proof : a scan of a page from "The Word" magazine from UK (pics and details below). ... and Ron Mael & Russell Mael are Doris Day's sons ! 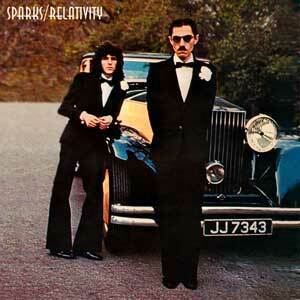 Sparks "Relativity" is one of the worlds rarest Sparks albums, so far. It had to be the last Sparks release for Island Records British label because Ron Mael & Russell Mael went back for the United States. 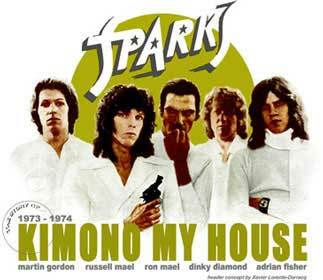 Instead of this album, Island Records released in 1979 an official compilation known under the name of "Best Of Sparks" and packaged under a red cover sleeve. The only tracks from "Relativity" to be found on "Best Of Sparks" were rejected songs from "Indiscreet" album, "Gone with the Wind" & "Tearing the Place Appart". Following is the track listing of "Relativity" album. Word is a monthly magazine dedicated to music and entertainment. It was started in 2003 by an independent company, Development Hell, which was started by a number of refugees from Big Publishing. It's published on the second Thursday of every month and comes with a free Word Of Mouth CD, which prides itself on bringing together the best of emerging talent. Word Magazine Official website : http://www.wordmagazine.co.uk/. In its february issue Word provides six pages about Ron Mael & Russell Mael plus "(Baby Baby) Can I Invade Your Country" (from the brand new Sparks "Hello Young Lovers" album) on the free Cd included in the magazine. Interesting article, really cool pictures and above all the very proof of the existence of Sparks "Relativity" album which is definitely not a hoax any more. Serious English journalists can't be wrong.